Nijo-Jinya is a samurai house and former inn used by feudal lords who were visiting Kyoto during the Edo Period. Nijo-Jinya is a samurai house and former inn used by feudal lords who were visiting Kyoto during the Edo Period. 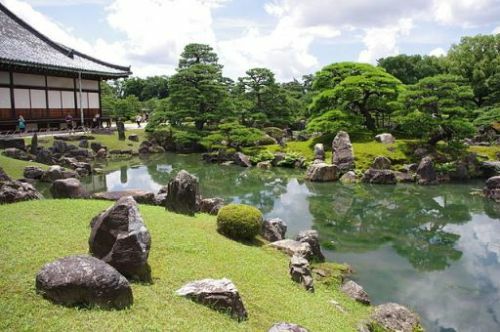 To protect from Ninja attacks, the intriguing house has several trap doors, escape routes, false walls and ceilings, nightingale floors, secret passages and fire-proof elements. Hour long guided tours of the premises in Japanese are available and can be booked by calling in a day in advance.